this is one of those mornings when the contrast between the world outside my kitchen window and places of violence and sorrow is very stark. I am grateful for this peace, even as I mourn another shattered night and pray for France. Categories: life up here, night, poetry, shortlings | Tags: bare, contrast, France, light, nature, open, peace, poetry, straggler, sun | Permalink. to see beyond, to hope? a quiet hug and loving words? 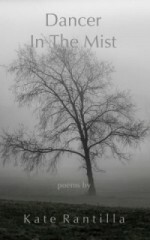 Categories: poetry | Tags: Baltimore, children, gifts, hatred, love, morning, peace, poetry, riots | Permalink.